Fifteen hundred cows are milked as part of dairy operations in Mercersburg, with another 1,000 cows being milked in White Post, Va. The milk is used in a number of Land O’Lakes dairy products. A recently planted forest buffer stretches between a ditch and a field of corn at Mercer Vu Farms. 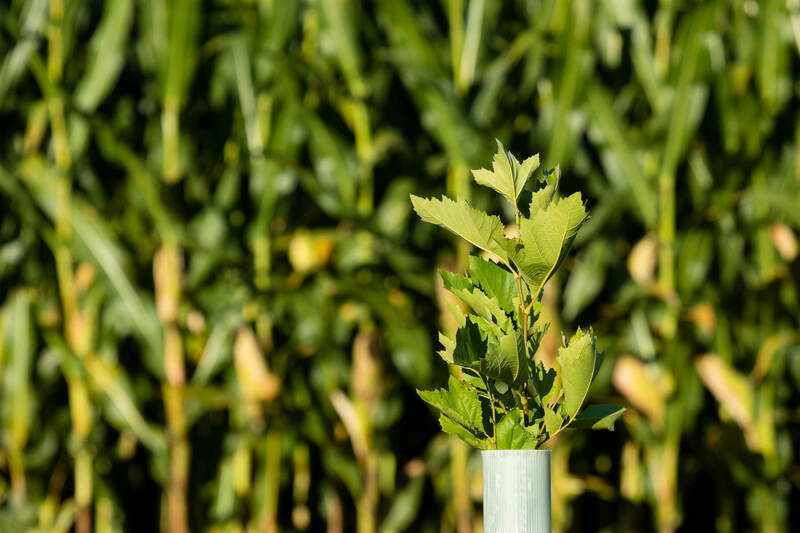 A young tree is part of a planted forest buffer lining a field at Mercer Vu Farms. 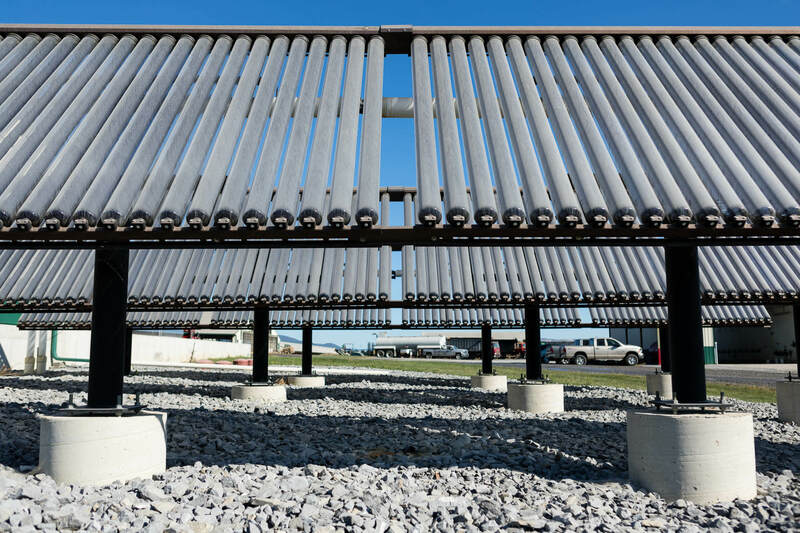 A solar water heater reduces the amount of heating fuel used at Mercer Vu. Harvest season last fall was almost two months of 14-hour work days for Pennsylvania farmer Rick Hissong. 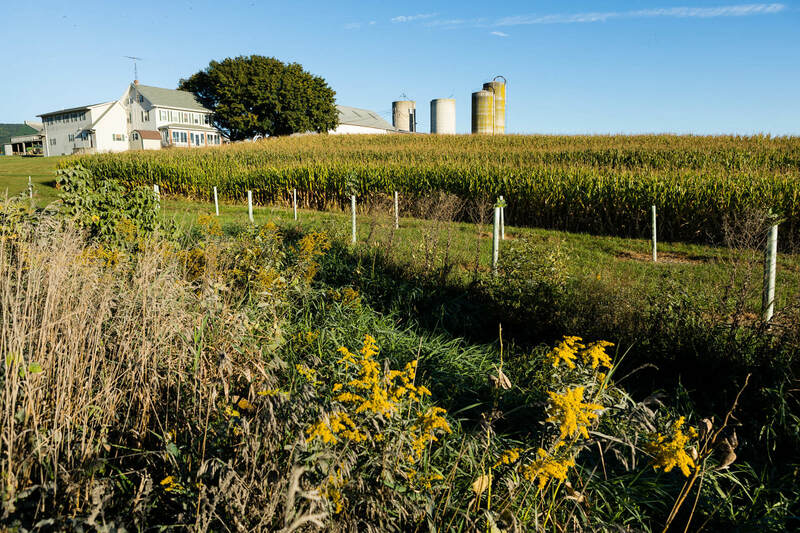 One day, about halfway through that period, he stopped his pickup truck at the top of a hill overlooking some of the 1,500 acres of Franklin County his family owns as part of Mercer Vu Farms. He wanted to show me what has become a rare event. Soon, a low growl joined the sound of his idling truck and a tractor appeared with a tank of liquid manure to spread as fertilizer across a field of recently cut corn stalks. “We used to haul liquid up here four times a year, now we only do liquid one time a year,” Hissong said. A trailer spreads liquid manure at Mercer Vu. 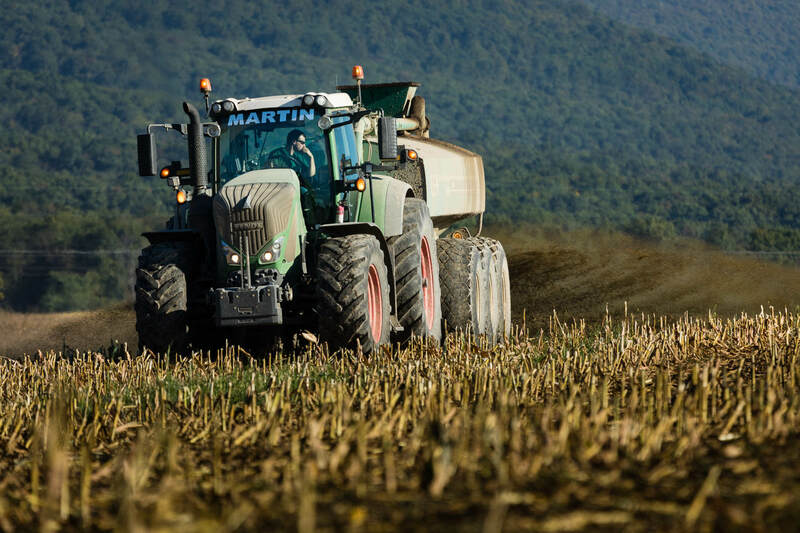 Separating out solids from the manure has reduced transportation costs and allowed the farm to more precisely apply nutrients, reducing pollution and reducing its carbon footprint. Mercer Vu’s fields are up to 16 miles from the headquarters and milking parlor of the dairy, Hissong explained, and hauling heavy liquid manure is expensive compared to lightweight dry fertilizer. 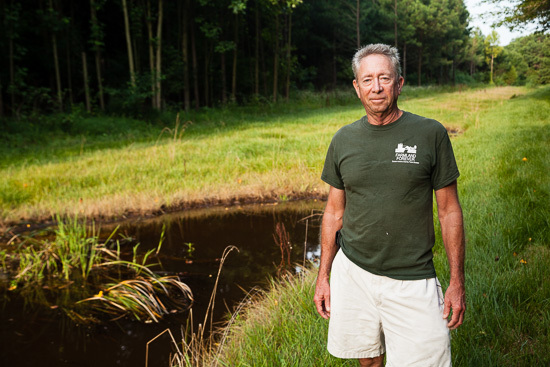 Starting in 2002, when the farm built those headquarters, the Hissong family implemented a system of extracting water from the manure generated by roughly 1,500 cows, saving money and also reducing the farm’s carbon footprint. “We’re really trying to keep the liquid close to home because of the expense of the haul, and we manage the solids by hauling those farther away,” Hissong said. 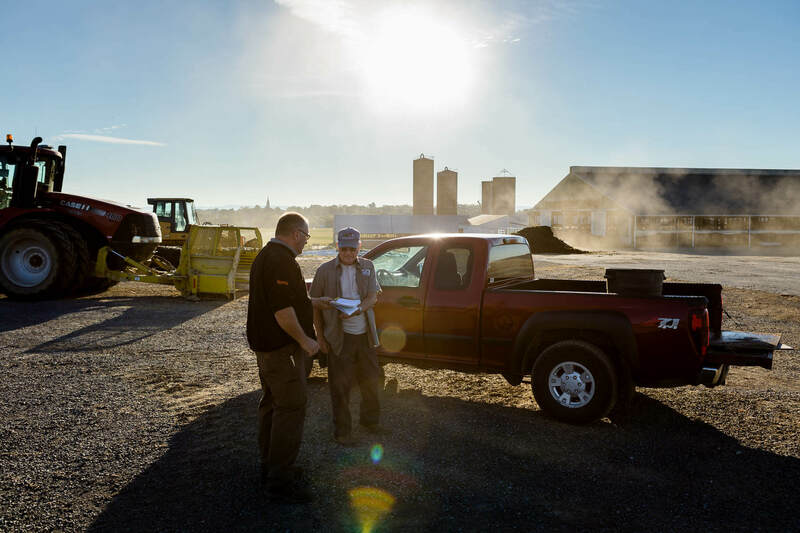 For the first part of the process, Mercer Vu turned to an unlikely source—a company that makes mining equipment—for a machine that removes most of the sand that is used as bedding for the cows, that gets mixed in with the manure when barns are flushed out with water. Then, a centrifuge known as a cyclone separator spins at high speeds to remove even more fine solid particles from the liquid. Those fine particles contain 40 percent of the manure’s phosphorus, a nutrient that is a major source of water pollution. The cyclone separator was implemented with support from an On-Farm Pilot Project grant from the Natural Resources Conservation Service (NRCS). Ultimately, Hissong is left with three products he can reuse on his farm: sand, dry manure and liquid manure. Almost all of the sand is reused as bedding for livestock. Mercer Vu composts the dry manure before using it, and in addition to being cheaper to transport to its fields, it is easier to precisely control the application of the dry, nutrient-rich fertilizer so that it doesn’t wash into nearby Conococheague Creek and pollute the Potomac River and the Chesapeake Bay. The practice also cuts Mercer Vu’s use of fossil fuels from transportation by an estimated 3,500 tons of greenhouse gas emissions a year. 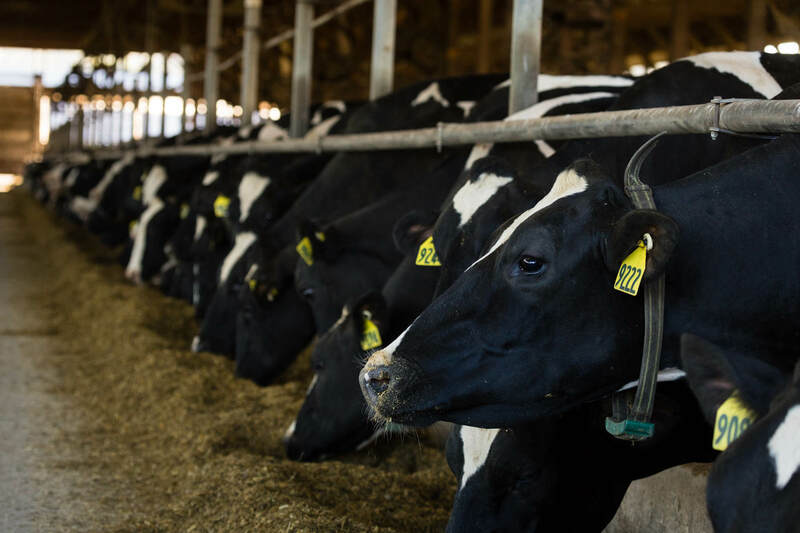 In 2017, Mercer Vu earned an honorable mention from the Innovation Center for U.S. Dairy’s award for Outstanding Achievement in Resource Stewardship, as well as recognition from the Land O’Lakes SUSTAIN initiative. In 2014, with another grant from the NRCS Environmental Quality Incentive Program (EQIP), Mercer Vu further reduced its climate impact by adding a plastic cover to its 7.8 million-gallon lagoon used to store the liquid manure following the separation process. Methane is flared off to convert it to carbon dioxide, which is less potent as a greenhouse gas. The cover also reduces the amount of nitrogen escaping into the air by 90 percent, lowering air pollution. Hissong said that eventually he would like to use that rainwater in the separation process as well, to avoid using well water. “It’s all about recycling,” Hissong said. Hissong estimates that there are only a handful of dairies with covered lagoons in Pennsylvania, and believes that Mercer Vu was an early adopter of manure separation. 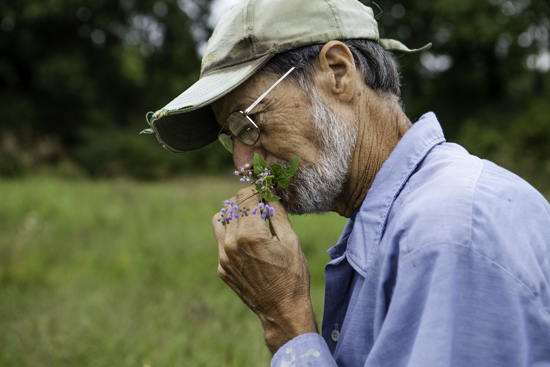 But the farm’s sustainable practices go back decades further. Mercer Vu started in 1949 with just seven milking cows owned by Hissong’s grandparents, Glen and Mae. In 1967, they passed the farm on to their son Ron, who married his wife Judy soon after. 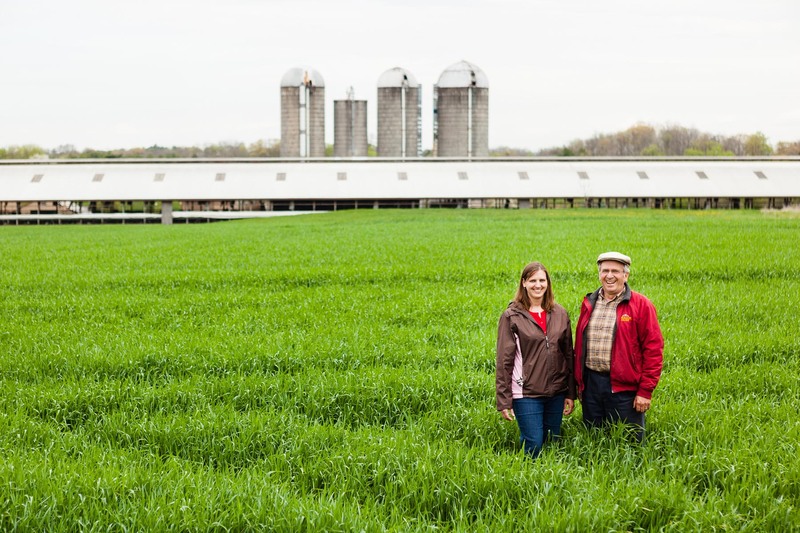 Their sons, Rick and Rod, with their respective wives Becky and Amy, bought the farm from Ron and Judy in 2011. “Dad was an early adopter of no-till back in the mid-60s, early 70s,” Hissong said. Hissong said that rocky soil was one reason for the shift away from tilling the soil. Today the farm is almost 100 percent no-till, meaning the soil is less disturbed when crops are planted, and it makes extensive use of cover crops. These practices increase soil health and allow stormwater to soak into the ground instead of causing erosion and polluting waterways with nutrients and sediment. “We’re using cover crops for nutrient management purposes, but it also ties up that nitrogen that’s residual there from the previous year from manure applications in the fall and spring,” Hissong said. The farm also recently planted riparian buffers around some of their fields to absorb runoff before it reached waterways. Hissong’s teenage sons Bryce and Roy help maintain the young trees, which are still protected by plastic tubes. “I figure they’re going to remember these trees more than I will someday, and appreciate nursing them and babying them all,” Hissong said. After some time watching the tractor cast fertilizer on that far-flung field, Hissong drove through the town of Mercersberg to get back to Mercer Vu’s headquarters. The farm’s mission statement expresses a commitment to the community as well as the animals and the environment, which has been a strong motivation behind continued innovation at the farm.